As April is Healthy Feet Month, we’re offering a special promotion that gives you $100 off the regular price of customized orthotics! 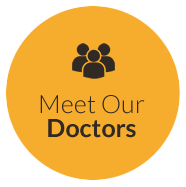 Call today for an appointment – we will recommend the type of orthotics that will best fit your activity level and footwear. Just as your house needs to have a structurally sound foundation to ensure it supports everything above it, your body needs its foundation—your feet—to be as healthy as possible. After all, they’re the only feet you get so you want to take good care of them! Did you know that when foot mechanics change, the subtle alterations can create a chain reaction in your posture and walking mechanics? These changes can result in extra stress and strain on joints, muscles, tendons and spine. Orthotics are custom devices that are placed in shoes to correct foot imbalances. One of the greatest benefits of these inserts is they help support and improve your body’s normal movements. Orthotics help your feet in a similar way that eyeglasses benefit your eyes. They decrease stress and strain on the body by bringing your feet back into ideal alignment. At Panorama Chiropractic, we’ve partnered with The Orthotic Group to provide high-quality Canadian-made custom orthotics. 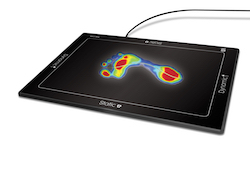 The biomechanical assessment involved in creating your orthotics includes a dynamic gait analysis, where you’ll be walking across a pressure and timing plate. More than 4,000 pressure sensors are employed to record pressures and movement patterns of your feet. After calculations are made, we will take a foam cast of your feet to capture their shape. We then combine dynamic and static measurements with a foot exam to fabricate your custom orthotics.